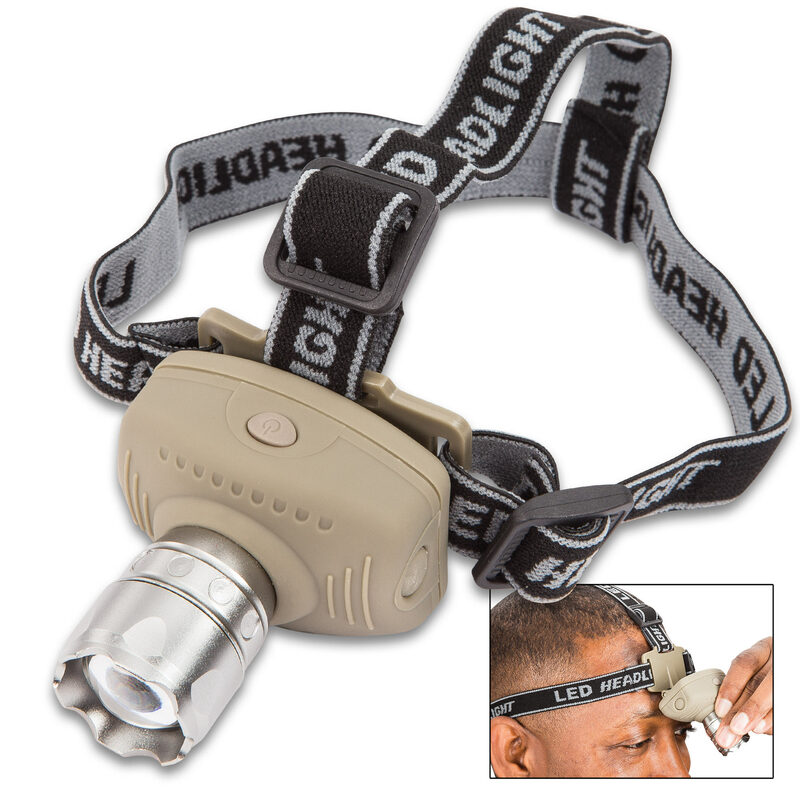 LED Zoomable 150 Lumen 3W Head Lamp - Adjustable Inclination, Three Modes Of Use, Waterproof Construction, Adjustable Head Strap | BUDK.com - Knives & Swords At The Lowest Prices! 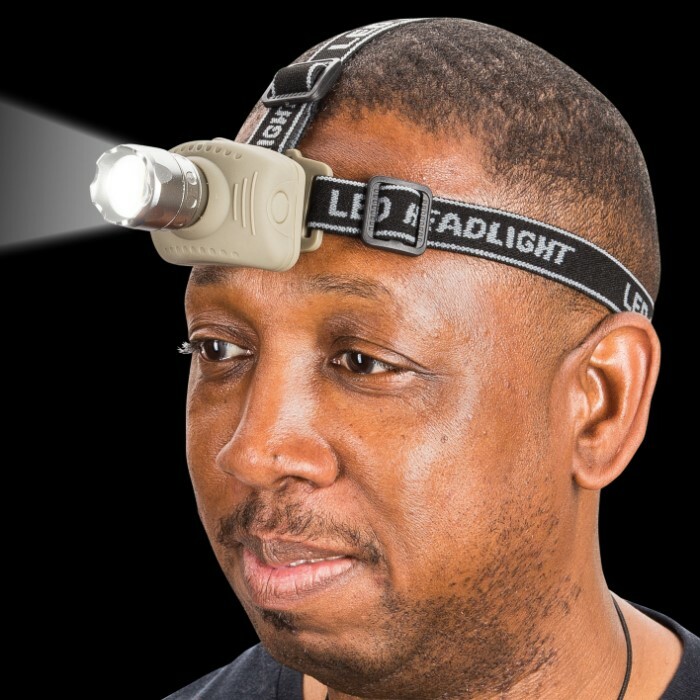 Suitable for adverse weather conditions, our LED Zoomable 150 Lumen Head Lamp is perfect to take with you for hiking, camping, fishing and other outdoor activities. 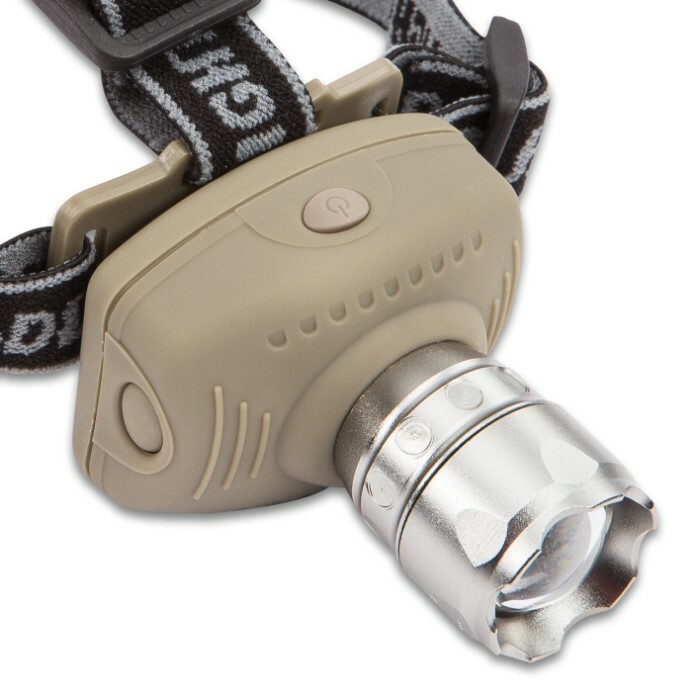 It has a 100 percent power efficient, super bright 150-lumen LED light, which has an effective distance of approximately 100 meters with a three to six-hour runtime. The adjustable base gives you back and forth inclination for convenient viewing and a zoom function allows the beam to be focused. 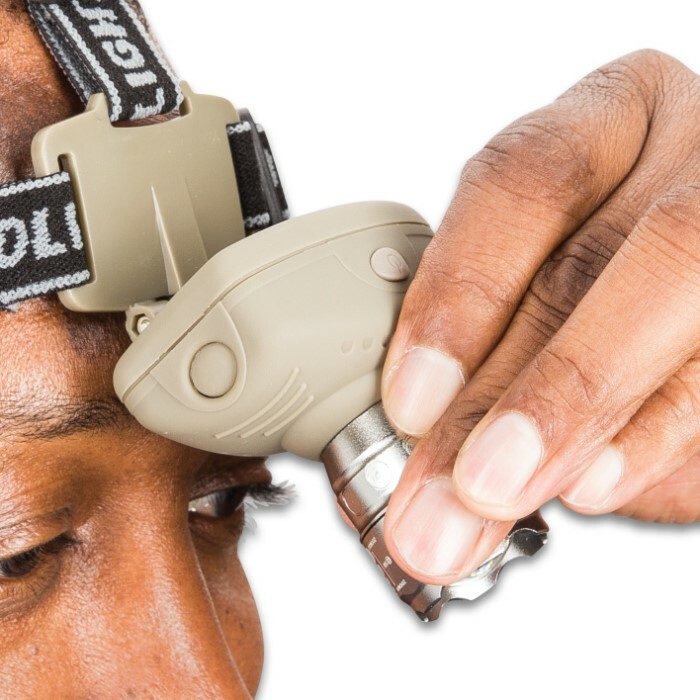 The body is engineered of durable, waterproof ABS with an attached adjustable headband featuring a soft pad for the forehead and the lamp head is constructed of aluminum alloy. It’s designed with one button switch control for on/off, low, high and flashing modes and is powered by three AAA batteries (not included).